The Healthy Lunchtime Challenge is encouraging kids ages 8-12 to learn to cook healthy meals and submit their MyPlate-inspired recipes for a chance to win a trip to Washington, D.C. This program, which is designed to promote cooking and healthy eating among youth, will select two winners from each U.S. state and territory. Winning recipes will be featured in a downloadable e-cookbook, and first place winners from each state will be invited to attend the Kids State Dinner at the White House in summer 2016. Entries are due by April 4. Further information is available at pbs.org/parents/lunchtimechallenge. Do you know an Arkansas student who has a great story to tell? Kids in grades K-3 may now submit entries to the 2016 AETN PBS KIDS Writers Contest. Created to promote the children's literacy skills through hands-on, active learning, the contest empowers children to celebrate creativity and build literacy by writing and illustrating their own stories. Twelve Arkansas winners - three from each grade - will receive an AETN prize pack. First place winners will be given the opportunity for Clifford the Big Red Dog to visit their schools. 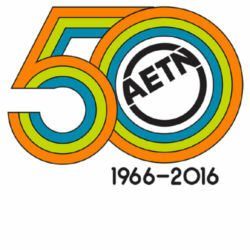 Find complete rules, entry forms and more at aetn.org/writerscontest. AETN "Student Selects: A Young Filmmakers Showcase"
AETN is accepting entries for "Student Selects: A Young Filmmakers Showcase," which highlights the creativity and talent of the state's kindergarten through 12th grade students. Selected entries will be broadcasted on AETN and posted to aetn.org/studentselects, in addition to being screened at the Young Filmmakers Showcase in May and the Hot Springs Documentary Film Festival in October. High school seniors may also compete for scholarships from the THEA Foundation, and ninth through 12th grade students may compete for the Arkansas Historic Places Student Film Prize. Entries must be submitted electronically or postmarked by Friday, March 25. Further details are available at aetn.org/studentselects. AETN and characters from "Dinosaur Train" and "Curious George" will be visiting the Museum of Discovery in downtown Little Rock for spring break fun. Join us for activities, story time and photos with Buddy the Dinosaur Monday, March 21, and with Curious George and the Man With the Yellow Hat Tuesday, March 22, from 10 a.m. to 4 p.m. each day. 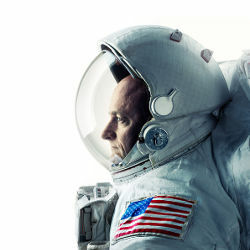 Follow astronaut Scott Kelly's record-breaking 12-month mission on the International Space Station, from launch to landing, as NASA charts the effects of long-duration spaceflight by comparing him to his identical twin on Earth, astronaut Mark Kelly. Wednesday, March 2, at 7 p.m.
Meet the pioneering Air Force scientists and pilots whose Project Manhigh - which collected data about the biological and technical factors required to support human activity in space - laid the groundwork for the U.S. space program. Wednesday, March 2, at 9 p.m. This month, join host Chuck Dovish as he goes "striper" fishing on Lake Ouachita; checks out the dirt jumps at Railway Bik Park in Rogers; investigates Slay Cave and the legend of the "Arkansas Woman" in Snowball; and samples the menu at Hogpen BBQ in Conway. Monday, March 7, at 6:30 p.m. and Wednesday, March 9, at 6:30 p.m.
"Eat Fat, Get Thin With Dr. Mark Hyman"
Many have been told that fat makes them fat, contributes to heart disease and generally erodes health. Now, a growing body of research is debunking fat-phobia and reveal the health and weight-loss benefits of a diet rich healthy fats can help promote optimum health. Dr. Mark Hyman appears live in AETN studios to offer practical tools, easy-to-follow advice and more on Thursday, March 10, at 7 p.m. The Carter family's "Chuck Wagon Gang" tells the story of America's oldest country gospel quartet in an hour-long documentary. Featuring rare family photographs, old recordings and appearances by Dan Rather, Merle Haggard, Charlie Daniels, Connie Smith and more, the film chronicles the group's 80-year history and explores its reverberating impact. Thursday, March 10, at 7 p.m.
"Peg + Cat Save the World"
In a brand new, hour-long special, the President of the United States summons Peg and Cat to solve a problem of national importance: a mysterious, gigantic blob is soaring towards earth. With the help of incredible, top-secret devices, the nation's greatest problem solvers work tirelessly to figure out what's up in outer space. Premieres Monday, March 28, at 9:30 a.m.
"Antiques Roadshow: Little Rock" makes a special return to AETN this month! Filmed at the Statehouse Convention Center in July 2015, the episodes explore the fantastic and fascinating finds discovered in The Natural State. "Antiques Roadshow - Little Rock: Part 1," Monday, March 7, 7 p.m.
"Antiques Roadshow - Little Rock: Part 2," Monday, March 14, 7 p.m.
"Antiques Roadshow - Little Rock: Part 3," Monday, March 21, 7 p.m.
March 4: "AETN Presents: On the Front Row With Booyah! Dad," 6:30 p.m., and "American Masters: Loretta Lynn," 8 p.m.
March 11: "AETN Presents: On the Front Row With Rodney Block & the Real Music Lovers," 6:30 p.m.; "The Carpenters: Close to You," 8 p.m.; and "This Land Is Your Land," 9 p.m.
March 18: "Historic Bridges of Arkansas," 6:30 p.m., and "American Masters: Johnny Carson," 8 p.m.
March 25: "AETN Presents: On the Front Row With Isaac Alexander," 6:30 p.m.; "Time for Three: In Concert," 8 p.m.; and "The Dave Clark Five: Glad All Over - A Great Performance Special," 9 p.m.
March 6: "BAFTA Celebrates Downton Abbey," 7 p.m., and "Downton Abbey Series Finale - Season 6: Episode 9," 8 p.m.
March 13: "Grantchester - Season 1: Part 5," 8 p.m.
March 20: "Grantchester - Season 1: Part 6," 8 p.m., and "Inside Mercy Street," 9:30 p.m.
March 26: "Grantchester - Season 2: Part 1," 8 p.m., and "Mister Selfridge - Season 4: Part 1," 9 p.m.